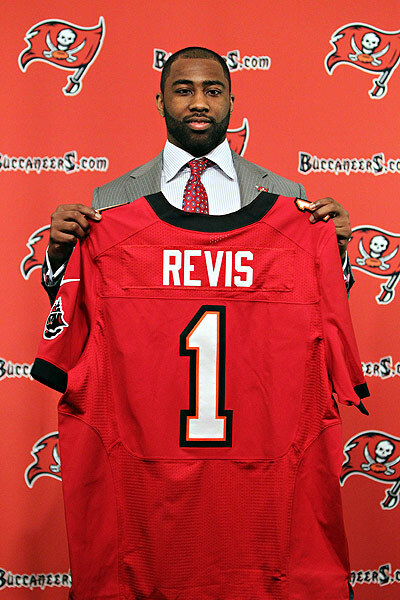 Grantland’s Bill Barnwell takes an interesting look at the trade of superstar CB Darrelle Revis from the New York Jets to the Tampa Bay Buccaneers, who subsequently signed him to a six-year, $96 million contract. 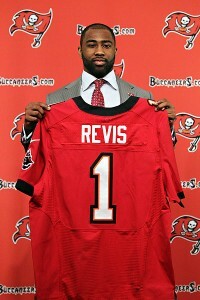 On the Tampa side of the equation, the trade immediately makes the Bucs a Super Bowl contender in 2013. While the trade for Revis, who is still recovering from a torn ACL he suffered last season, is risky, it is also the kind of move that can change the trajectory of a franchise. The Bucs now field a roster as talented as any in the NFL, and should be able to immediately challenge the Atlanta Falcons in the NFC South. The Jets had almost no leverage in their standoff with Revis, and were forced to trade their best player before he could leave in free agency next offseason. New York, which gained a 2013 first round pick and a 2014 third rounder, must now rebuild their secondary without the 2009 AFC Defensive Player of the Year. Click here to read the rest of Barnwell’s piece. This entry was posted in NFL Tickets, Sports News, Super Bowl tickets and tagged Metlife Stadium Tickets, Super Bowl 2014 tickets by promc58blog. Bookmark the permalink.